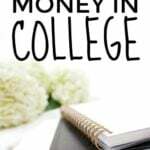 Femme Frugality writes about money as it pertains to young adults, brides, parents, Pittsburghers, and, of course, college students. You can read her blog here. Recently Michelle shared that W was returning to school, and asked for some tips for non-traditional students. I recently graduated, and now my fiance is going to college for the first time. We're about as non-traditional as it gets, both being far beyond “traditional” college age, and having children. So I've got a plethora of tips that have been helping us get through this stage in our lives. And Michelle was kind enough to let me share them in a post. What I am suggesting is that you sit down and look at your monthly budget. Look at your bills, how much you'll need to be contributing to your emergency fund, how much you'll need for other essentials such as gas and groceries, and a realistic entertainment category (though it might not be a bad idea to trim it down a little bit if you can). Figure out the lowest number you're willing to commit to (be realistic about this) for your overall monthly budget. Now, figure out the minimum number of hours you'd have to work in order to meet that number. The next step is having a conversation with your boss about lowering the amount of hours you are working every week as you return back to school. I was really lucky when I decided to go back to school. I was able to not work at all. Granted, part of that was because I was having a child at the beginning of my return to my education, and daycare costs would have been more than my working salary at the time. I know this sounds obvious. But so many people don't apply because they think they won't qualify. Or they won't be able to write a perfect essay. Or a million other reasons. Just do it. When you're applying, first look for any scholarships you can get your hands on; they all cover tuition. 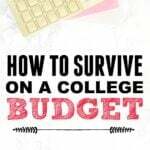 But once you have your tuition fully-funded, look for scholarships that cover tuition and other educational costs. With these, your school with cut you a check for every penny that's paid above and beyond your tuition. For example, if your tuition is $5,000/semester and you get $6,000 funded via scholarships, the school would cut you a check for $1,000 that semester. That $1,000 (or however much over you earn in scholarships) can then be used for things like books, rent, groceries, etc. Depending on how much you earn you may find that you're able to stop working and focus completely on school, too. A great way to kick-start your career is to be involved in a fraternity, national club, or some other scholarly organization pertaining to your field. Doing so can also increase your networking power when you're looking for a job after graduation. So join. Something. Get involved. But be incredibly aware of your constraints. Are you working? Then don't promise to volunteer as a full-time “job.” Do you have kids? Then don't say you can serve as club president when the weekly meetings are held when you need to be getting the kids off the bus. The task can seem daunting. It can even be tempting to eliminate things on that list. But remember, you're in this for about four years. Can you really go four years without socializing? Maybe. But you'd probably be hating life. Can you skip the talks with the girlfriend? Probably. But only if you're trying to kill your relationship. And the studying? It's necessary if you want to be any kind of good in the the field you're entering. 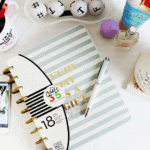 Schedule purposefully, and live life accordingly. If you've done the fall semester full-time and it's just way too stressful or your grades are suffering, instead of giving up try going half-time in spring. Then you can go half-time in summer, too, and not be behind on your classes. Most of the classes offered in summer are general electives that a lot of people need to take, so keep that in mind. If you're receiving financial aid such as a Pell Grant or state aid, if you go half-time you're only awarded half of your grant. The other half that you qualify for can be applied to the summer semester and completely cover it the same as if you had gone full-time in the spring. So you're not losing any money. At least that's how it worked at my school. Double-check with your financial aid office. And if you're concerned about not having a summer break, don't worry. Most schools have a 3-4 week break between Spring and Summer semesters, and then another 2-4 week break between Summer and Fall. If you're going to do something like an internship at the end of your course of study, think about that now. How will that work out with work? If you have kids, how will childcare work? Talk with your boss about it early so that they know to expect it and you all have time to work out a viable solution to give you the time you need to complete that internship (without bidding your current employer a premature adieu.) Give yourself years to figure out the whole childcare debacle instead of just weeks or months. And that's okay. That's normal. That's why scheduling things such as socialization, relaxation, and date nights are important. If you're in a relationship with someone who is going back to school, it's going to change your status quo. There will be stress, and stress usually leads to fights. You will most likely fight. But that doesn't mean that your relationship is crap. It means you're stressed out, and you both need to find ways to cope better. Which is why scheduling time to talk and connect is so important. Going back to school as an adult who isn't fresh out of high school comes with a complex set of challenges. Family responsibilities, work responsibilities, and just general grown-up bills and concerns can weigh you down. But don't let them hold you back. Those few stressful years are so worth it. And you can hold your head a little higher than those younger kids when you walk at commencement, because you know that you had to work a little harder to hold that degree in your hand. But you didit. What tips do you have for someone going back to college as an adult? How was your experience? I love where she says “you will be stressed.” It’s so true and sometimes you just have to buck up and deal with it. So true. Especially as a non-traditional student trying to go to school and balance real life responsibilities. I have some friends who are past the “traditional” age of a college student and take night classes. One thing I would suggest to anyone (and I think you would too) is that you should take more than one class a semester. If you only take one or two classes you could be taking night classes for quite some time before finishing up your degree. That’s what I did and the fiance is doing. Taking a full-time class load. It’s tough, but I do recommend it. If you’re going to go half-time (or 6+ credits/2+ classes,) I’d say to make sure you went through the summer, too. I got my MBA as a non-traditional student. I worked full time and went to school at night. My employer paid most of the tuition, and without the room and board expenses my only out of pocket cost was transportation to and from campus. Without a doubt scheduling and over-commitment were the biggest challenges. Oh, that’s such a great way to go if it’s available to you! Many employers will offer to pay tuition, or at the least, tuition reimbursement. Thanks for sharing your experience! These are all great tips and used many of them when I went back for my MBA. I wish I could’ve cut down on work, but it really wasn’t an option for me. My wife was getting her Masters at the time as well so we had to force ourselves to have balance – which I think is key. We would have more regular date nights so we could get time together and also to try and avoid burnout. Yeah, sometimes you just can’t cut down on work. Sounds like you guys hit a pretty good balance regardless! Excellent advice, FF! Rick was back in school for a bit after our oldest was born. We didn’t follow the tips above, and so he quit after about six months of trying to balance a full school load, both of us working full time and a new baby. Having a plan like the one above is SO important! Oh, my gosh that was a lot! I hope he tries again in the future when things are a little more settled down! This was not my first attempt to return to school…I “failed” once or twice before finally figuring out how to do these things. This is an interesting topic, although I’m more traditional and so I’m still in the formal education mindset. 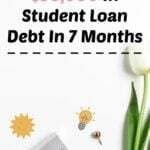 From my perspective, I would recommend either trying to work and avoid debt while taking reduced loads, or taking as many credit hours as possible while focusing on school. I see no reason to half attempt either side. Sure, an exam can be stressful, but what in life isn’t? School is as difficult as many people make it. And this coming from a PhD student. I’m with you on avoiding debt. That’s a major reason it took me so long to get my degree; I refused to take out student loans. As a traditional student, I would recommend your tips above. Once you have a mortgage or children, though, things can get trickier. 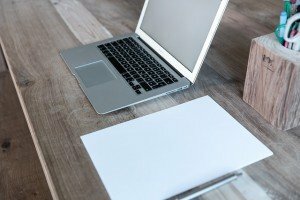 I prefer scholarships to a day-job when possible, but it’s not always possible. That’s so awesome that you’re going for your Ph.D.! I am wired a little different from a lot of people and found I did best when I had a full time job and was in school at the same time getting my master’s degree. It just made me not waste time as much. That’s so awesome! Like Jacob mentioned, I bet it helped by minimizing those loans. I worked full-time while getting my bachelors and my MBA. I worked about 60 hours a week to pay for school and meet my financial commitments. 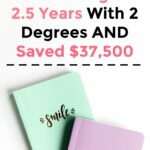 It was tough but I managed to squeeze in making money, educating myself and learning on the job things that were relevant to the degrees I was working on. Mad crazy respect! That must have been incredibly difficult! It’s worth it coming out on the other side, though! I was one of those “non traditional” students when I went for my teaching credential at 55 years old. My credential cost nearly $11,000, but I only paid about $1,500. I applied and received a grant I even received a fellowship for college classes (14 credits). It did not take much effort either. Nice! Grants are amazing in the same way that scholarships are! Glad the road wasn’t bumpy for you! Oh, bless you! I didn’t have quite that many children when I started school, so I can only imagine what you’re going through! I hope these tips help, and always know that YOU CAN DO IT! If you ever need to vent or whatever, I’ve been there. 🙂 Shoot me an email at femmefrugality at gmail dot com. I’ve noticed when I was in college, older people took their class more seriously than the young. Now that I’m older, I can see why. Absolutely! I started as a traditional student. Didn’t make it very far because of financial reasons. I can tell you, though, where my focus was as an 18-year-old and where my focus was as an adult was VERY different. I think a big part of that is that usually as an adult you’re going back in order to improve your life….you’ve seen first hand what life is like without that degree, so you’re a lot more motivated. As an 18-year-old, generally you’re in school because that’s what you’re supposed to do next. These are fantastic tips. I had to use these myself when I moved from Ireland to the UK to study for my MEd. Planning in advance is essential and really reduces the stress. Once you have the plan in place, you need to monitor it on a regular basis to make sure that it is working. This helps you to spot problems before they spiral out of control. You can then make the necessary adjustments. Do not skip lectures and tutorials. Even if you are tired, you will still absorb a great deal of the content, saving you precious study time later on. And last but not least, enjoy yourself. If you are not going to enjoy, there is little point doing it. Couldn’t agree more! Attendance and reevaluation are key! Thank you for the extra tips. And, of course, if you’re not enjoying the journey, the destination may not be the Eden you’re expecting. I find it hard to participate in volunteer organizations that require a huge time commitment when I don’t have enough time to commit to making actual income. I always feel a little guilty about it but I do my best. Time is definitely a commodity as valuable as money, if not more so. I ran a student organization (or two) while I was in school, and I can tell you I appreciated the people who were up front with the fact that they couldn’t make a heavy time commitment so much more than the people who said they could and then flaked out. I wouldn’t feel guilty–being honest about your time is so much better than committing it and then falling through. I went back to school while working full time and being engaged. It was tough. But I chose a FlexMBA program that was designed for working professionals, and it was a great move. The whole course was designed to make it as easy as possible to focus, with things like recording every lecture so you could watch it later if needed, and total understanding about needing to travel and miss classes. I highly recommend that route if possible. That sounds amazing! If I pursue further schooling, I’ll definitely have to look into that option. I recommend looking at schools that give some course credit for life experience too, if you qualify. I went to a university that did that for first-time students over 40 and I had classes with a woman in the program. It helped her save a lot of money and time as she was able to graduate sooner. Another great idea! I was able to test out of one of my courses because of past experience, but that’s not quite what you’re talking about. I love the idea of finding a program that would compensate you for your prior work. Plus it sounds like some of the coursework may have been redundant for her if she had been forced to take it. Actually figuring out a schedule works wonders! Scheduling may take a little time out of your day/week, but it’ll save you a lot of mental energy. Agreed! It makes life so much more efficient. Great write-up. When I went back to school at a non-traditional age and under non-traditional circumstances, one thing I did differently compared to the first time around was that I budgeted my very limited time and effort toward things that were job-focused rather than school-focused. Even before applying, I started by sitting down and saying, “This is the job I want,” and then backwards-planned from there. Which schools send graduates to that field? Which alumni would I talk to in order to get an interview? Which classes would I need to take and how well would I need to do for these organizations to take me seriously? What effect would taking time off or graduating off cycle have on my prospects of landing that job? Getting good grades and joining clubs and every other thing that made me a better student were very important, of course, but I looked at them from the point of view of getting a job, and budgeted accordingly. Oh, I love it. It’s so true. The student organizations I worked with were directly tied to my field; the things I did there built skills I would need when I entered the work force, and the scholarships I was awarded through them were applicable when I was writing my resume after graduation. Other organizations may have been fun, but I had a limited amount of time, and I wanted to utilize every second towards my end goal. Great, great point, Debt Blag.